Independent catastrophe risk management and modelling firm Karen Clark & Company (KCC) has announced the launch of RiskInsight®, an open, global platform for catastrophe risk management. The RiskInsight platform is designed with an open architecture, which KCC say enables insurance and reinsurance companies to efficiently leverage multiple internal and external experts in building their proprietary views of risk. The platform is designed to be completely transparent to its users, with components such as event intensity footprints and damage functions totally exposed to the users analysis. As well as being relevant to insurers and reinsurers looking to merge their view of risk across external vendor risk models and their own internal models, it could also be useful to anyone managing catastrophe bond portfolios or seeking a multi-model view of cat bond risk. RiskInsight’s built-in mapping and graphing capabilities enable companies to easily analyze their global exposures and risk concentrations. Along with built-in tools for exposure analytics, RiskInsight handles different types of event footprints and can superimpose these footprints on detailed policy and location level exposure data. Insured losses are estimated using damage functions by construction and occupancy and applying secondary uncertainty through a loss calculator that handles all types of policy conditions. RiskInsight incorporates default 100, 250 and 500-year wind footprints for US hurricanes along with damage functions by construction, occupancy, year built, and region. These footprints and damage functions are developed using the same data and information underlying the catastrophe models, but they are fully transparent and stable from year to year. They provide intuitive and consistent benchmarks for monitoring changes over time and can be readily peer reviewed by outside experts. RiskInsight’s built-in tools complement what companies get from the models and provide new perspectives and capabilities. The information provided by RiskInsight is often more intuitive and actionable by senior executives and boards of directors than PMLs (Probable Maximum Losses) generated by the models. 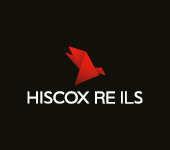 RiskInsight comes with an industry database of detailed property exposures that is used to estimate company market shares of losses as well as exposures at high geographical resolution. Sophisticated users can create their own analytics from the built-in tools and databases. For example, default damage functions can be customized to specialized books of business, and companies can utilize their own claims data more directly than with other tools. The RiskInsight platform is not seen as a competitor to the main vendor risk models, rather as something to complement them and perhaps add additional value to those who use them. RiskInsight will help companies test the outputs of the main risk models on the market and choose either the results that suit their business or obtain a multi-model view of their risks. In this respect it is ideal for looking at catastrophe bond risk model results across the different vendor models or as a way to compare cat bonds risk profiles using a standard tool. We spoke to Karen Clark about the platforms potential for application within the cat bond space. We know that some ILS fund managers have created their own internal tools to try to achieve this standard view of risk but RiskInsight may be the first third-party solution which will allow them to achieve the same goal.